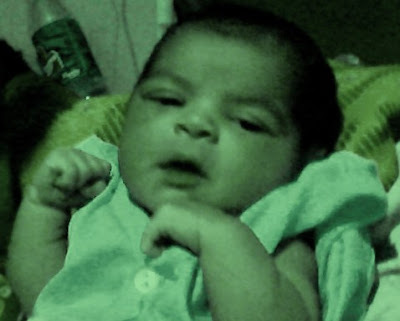 Our daughter was born on June 1st 2009 at Bhubaneswar, Orissa, India. Can anyone out there in the blogsphere suggest, a really nice name for our cute daughter. We assure you that when she grows up, like you, she herself would be a blogger, phew!! If you are looking for a Manager as faithful as your personal dog, call Krishna 52, B.Sc. Fluent Bengali, Hindi, English, Malayalam, Driving, etc. Ph: 09947857044. This is an advertisement that has been published in the Sunday edition (page four) of The New Indian Express, dated June 07, 2009. Considering the urgent need of the advertiser and the prospective employers’ eternal quest for hiring quality managers, I thought that it would be best to give wide publicity to the advertisement. This is purely a public service blog post, in the best interests of the job seeker and job providers worldwide; which features the above advertisement and that it has been published here free of cost and with no bias towards anyone. However, it should be also very much clear to everyone that the blog and its web master assume no responsibility as to what happens in between the employee and employer, finally. Best of luck! It is nice to remember that toady is earmarked as the world environment day for us to take affirmative and positive actions to save and regenerate nature. Most probably, many of us would certainly understand the importance of living in harmony with the myriad creations and components that go into making our beautiful earth whatever lies beyond it. We are the custodian of this vast reservoir of life sustaining system, most probable not existing elsewhere in the entire universe and therefore have the enormous responsibility of being aware of it, for the creations are revealed to us and other life forms through the consciousness, they are endowed with. Whatever that exits, is existing for a purpose and inseparable from each other. We can not understand the interplay of the force of nature as our capacity to comprehend them is severely restricted by our own capabilities that are limiting. However, we can still appreciate the beauties of nature by becoming one with it or by accepting that we are but the extension of the nature. Nature is never destroyed. It changes its shades. It is ever evolving. It is always complete.